Damian loves and supports poetry and so do we! One poetry project he has actively supported is The Love Book, a brilliant collection of classic and contemporary love poems that vary from Shakespeare to E.E. Cummings to Maya Angelou coming together in a book as well as in an app. And it is my utmost pleasure to take us all back to The Love Book event I was extremely lucky to attend at Cheltenham Literature Festival on October 12, 2014, four years ago: Damian Lewis and Helen McCrory read Great Love Poems. Yes, four years ago! Time flies! Damian loves and supports poetry and so do we! One poetry project he has actively supported is The Love Book, a brilliant collection of classic and contemporary love poems that vary from Shakespeare to E.E. Cummings to Maya Angelou coming together in a book as well as in an app. 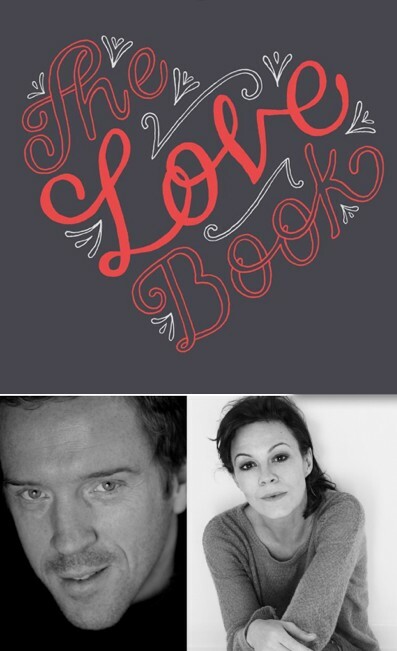 And it is my utmost pleasure to take us all back to The Love Book event I was extremely lucky to attend at Cheltenham Literature Festival exactly two years ago: Damian Lewis and Helen McCrory read Great Love Poems.